The Kasho Design Master Series Thinners are one of the introductory models of Kasho. The ratchet screw system allow to variable tension settings, and is easy to adjust. 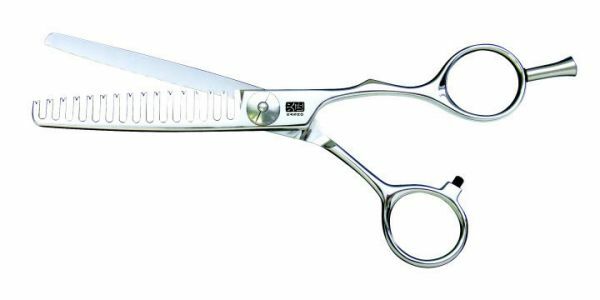 The semi-convex edge blade have a satin finish.The New Design Master Thinners have been up dated . 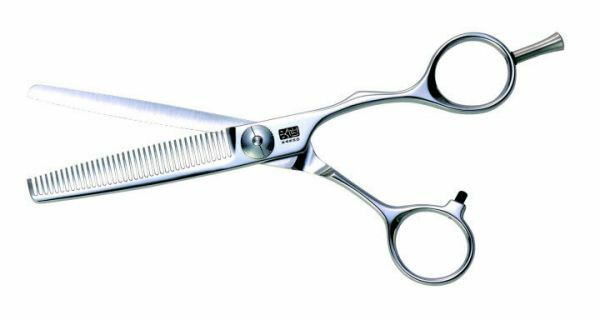 New models are offset with an anatomical thumb and are a full 6.0" in length for that extra reach.